Home » Reviews » Helix Mattress Review – Customize Your Comfort! Helix Mattress Review – Customize Your Comfort! The Helix Sleep mattress was designed understanding no one bed is right for everyone. It's a common online bedding practice to produce a one comfort fits all mattress. This shotgun approach takes aim for the largest target. Unfortunately, this method does not account for all comfort levels. The Helix mattress offers customized comfort to suite every body type and sleep preference. Helix Sleep is priced to compete with heavy hitters Casper, Tuft & Needle and Leesa. But unlike their well established competition, Helix has a distinct advantage. The ability to customize your mattress. This feature makes them stand out from the crowd. Take their two minute comfort quiz and let Helix build a mattress that's designed with your specific needs in mind. Personalized comfort and customization helps boost the Helix Sleep rating. It's this feature that makes Helix rank higher than other mattresses with similar specs. Who should consider a Helix Mattress? Couples with different comfort preferences: Helix offers personalized comfort for both sleep partners needs. Take the comfort quiz and Helix will design a customized feel that eliminates the need to compromise. Those seeking great pressure relief: The combination of Helix Dynamic foam and hundreds of pocketed Micro-coils, offer significant body contouring and conformity. Couples who want limited sleep disturbance: Helix Dynamic foam is very responsive and limits motion transfer. 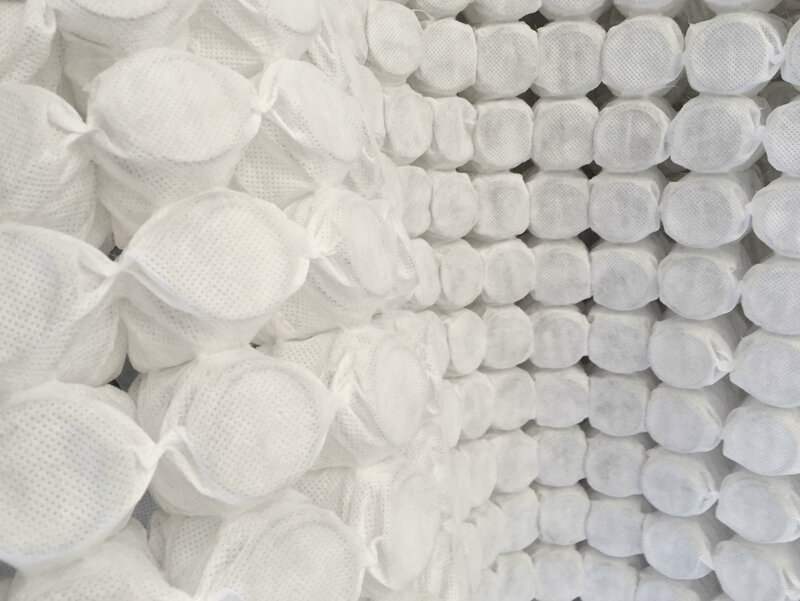 The Micro-coils are individually pocketed and disperse body weight evenly. Unlike traditional inner-springs, these coils function independently and help limit movement detection. Shoppers on a budget: Helix is a great value for anyone watching their pennies but still wants a great value. Backed with a solid warranty and comfort trial, it's a rick free purchase. Helix Sleep was founded a little over 2 years ago. During this time, the company has experienced tremendous growth and popularity. Although the mattress was well received from the start, Helix saw an opportunity to build upon their early success by improving their original mattress. The original Helix Sleep mattress used synthetic latex as it’s primary support foam. Although early sales were brisk, there were a small amount of heat retention issues. In December 2016, Helix switched from latex to Helix Dynamic Foam (HDF). 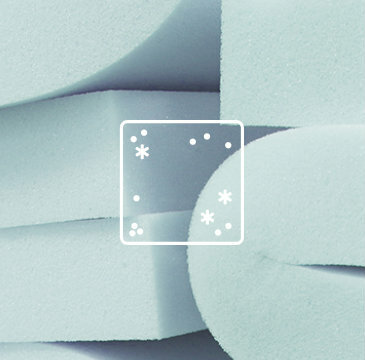 This proprietary foam is a blend of high-grade poly-foam with viscoelastic properties. It’s a nice blend of the best features of both technologies. The use of HDF has also significantly increased air flow and heat regulation capabilities. This makes Helix a much cooler sleeping mattress. Body mass influences how firm a mattress is perceived. The original foam, left petite individuals not always feeling the same pressure relief. Helix Dynamic’s Increased foam density options changed everything. Personalized comfort is now possible for all body types. Customization is a unique feature that sets Helix apart from other mattresses. It’s also the edge that makes this company’s future look extremely bright. Helix Dynamic Foam is neither Memory foam or Latex. It combines the best of qualities of both while offering support and conformity. Unlike Memory foam, it does not have heat retention issues. It's unique open celled characteristics allow Helix Dynamic foam to sleep cool. This foam possess the bounce and resiliency of latex but without the allergens. The original mattress did use latex but Helix Dynamic was determined to have superior benefits. Varying foam densities allows for flexibility in firmness level. Motion transfer is also limited. add a dimension not commonly found in a bed in the box type mattress. These coils offer more support and responsiveness than foam alone. They do so without affecting the beds ability to reduce motion transfer. Isolating movements is an awesome feature for couples who don't want to disturb their sleep partner. Micro-coils also contribute to additional air flow. This helps keep the Helix cool and comfortable. Every aspect of the Helix product development was designed with individual customized comfort in mind. 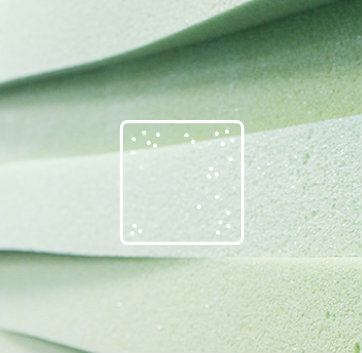 Varying foam densities accommodate unique firmness preferences. This gives Helix a distinct advantage over one comfort fits all brands. Micro-coils ad support and breath-ability while maintaining pressure relieving conformity. 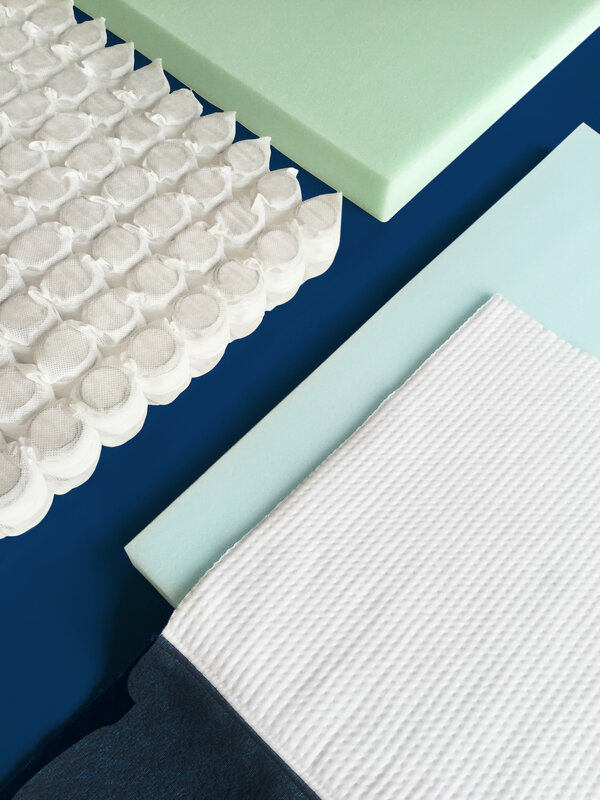 High-Grade Poly-foam is offered in a wide range of densities that provide durability in the base layer and varying firmness in the comfort layers. The Helix cover is made of a thin, smooth layer of polyester. By design, this soft and lightweight fabric permits foam and coil layers to as responsive as possible. This further enhances pressure relief and decreases motion transfer. Comfort customization is where Helix really shines. The company offers a brief sleep quiz to determine the proper firmness level for your individual comfort preference. Having spent many years in the bedding industry, their method really resonated with us. It's reminiscent of the qualifying process a quality sleep shop would initiate. But, instead of then taking you to mattresses that best fit your requirements, Helix builds a mattress specific to your comfort and support needs. They start with some basic information then move on to more specific details about your sleep habits and preferences. Finding a mattress for couples with distinctive comfort preferences can be quite challenging. With traditional mattresses, shopping for a new bed ends up in one of two ways. Either one of you settles on firmer or softer than you want or you compromise on something in the middle. Both outcomes leave one or both of you less than satisfied with your purchase. Helix Sleep calculates the requirements of each partner's individual needs and creates on mattress designed to accommodate both of you. This is a truly unique concept and greatly increases your odds of a good match. Take the Quiz now and let Helix customize your mattress. It takes only 2 - 3 minutes to personalize your bed. Deliveries are available in the US and Canada. Canada. While US shipments are free, a charge of $150 is applied to all Canadian orders. That said, Helix is one of the few online mattress companies to provide deliveries to Canada. Your order will ship direct from the factory to your door and arrive in about 6 - 10 business days. Delivery times are the same in both the US and Canada. This is actually a pretty quick turn around time when you consider your mattress is being custom made. How much does the mattress weigh? Because your mattress is custom made to your specifications, actual weight can vary. A queen mattress will weigh between 80 - 90 lbs. The package is relatively small; about the size of a gulf bag. But, it's still sizable enough where you may need a second set of hands. Once in the home though, setup is quite easy. Helix offers a 10 Year Limited Warranty if purchased if purchased direct or from an authorized dealer. Helix offers a full 100 day Comfort Guarantee. If not fully satisfied with your mattress, return it free of charge for full refund! 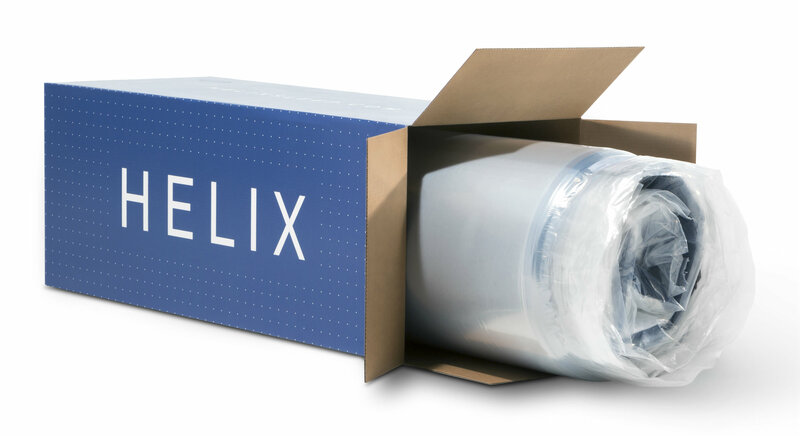 Helix Sleep offers free deliveries and free pick up on returns. Helix offers a versatile and affordable mattress that should have a lot of appeal. Unlike one comfort fits all bedding companies, Helix Sleep personalizes your comfort by custom building a mattress specifically for you. It's a great concept; especially for couples. A solid warranty and risk free trial make Helix a great value. Personalized comfort: No one mattress is right for everyone. 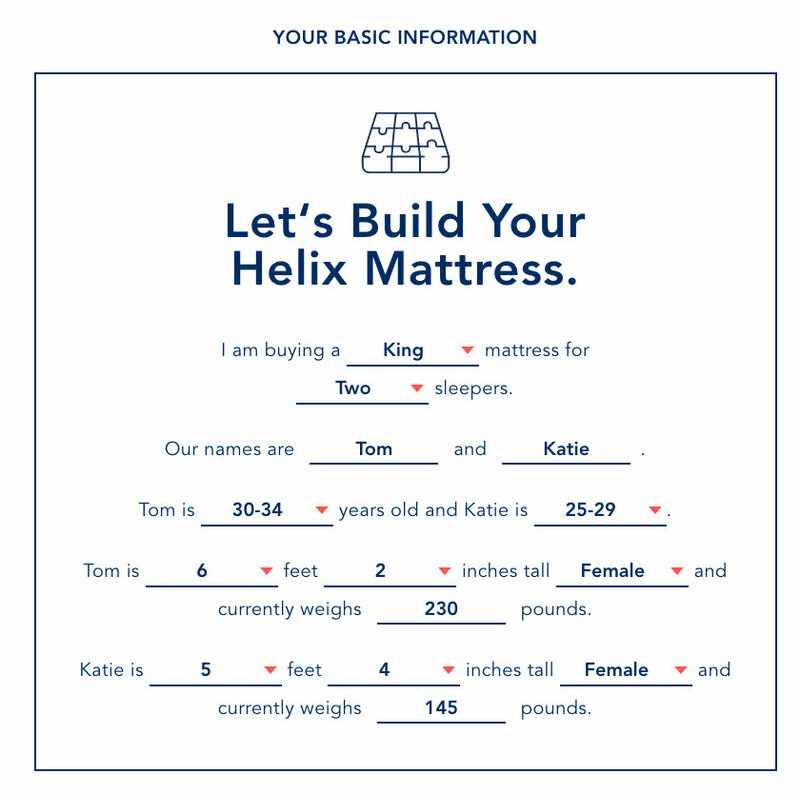 Take a quick 2 minute quiz and let Helix design a mattress specific to your needs. Great for couples: Both you and your sleep partner can customize your side of the bed. No need to compromise or settle anymore. Sleeps cool: Helix Dynamic is an open celled proprietary foam that sleeps cooler than traditional memory foam. The addition of pocketed Micro-coils allows for additional air flow and further cooling. Relatively short company history: Take this statement at face value. With only a little over 2 years in business, it's difficult to evaluate long term durability. That said, Helix is rapidly growing a reputation for quality service. No red flags have been raised indicating this is anything but a stand up company. Edge support has has been a noted concern: but no more than any other foam bed in this price range. Is Helix Sleep right for you?